Mrs. Watts' Little Lights: Spreading The Love! 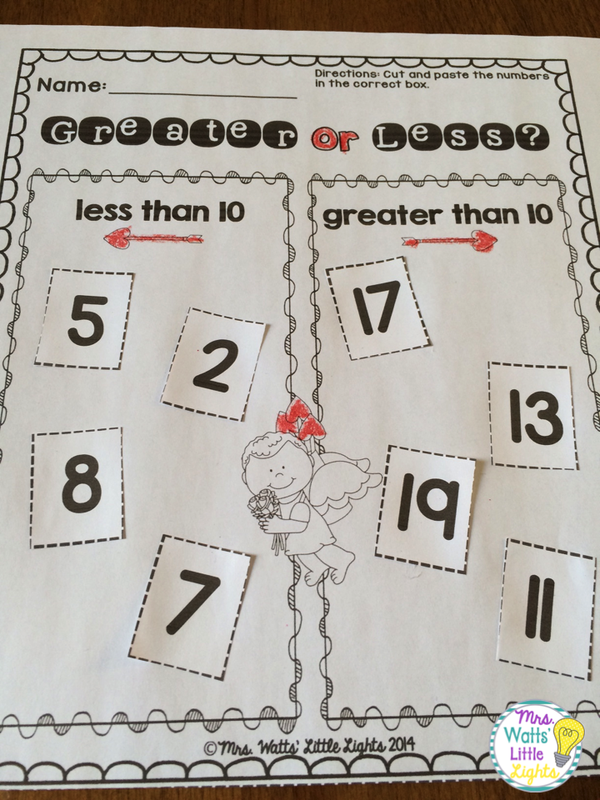 Valentine's Day Literacy and Math Pack and Freebie! I can't believe that it is almost February! February is going to be an exciting month in my house because my son is turning 3 and of course Valentine's Day!! 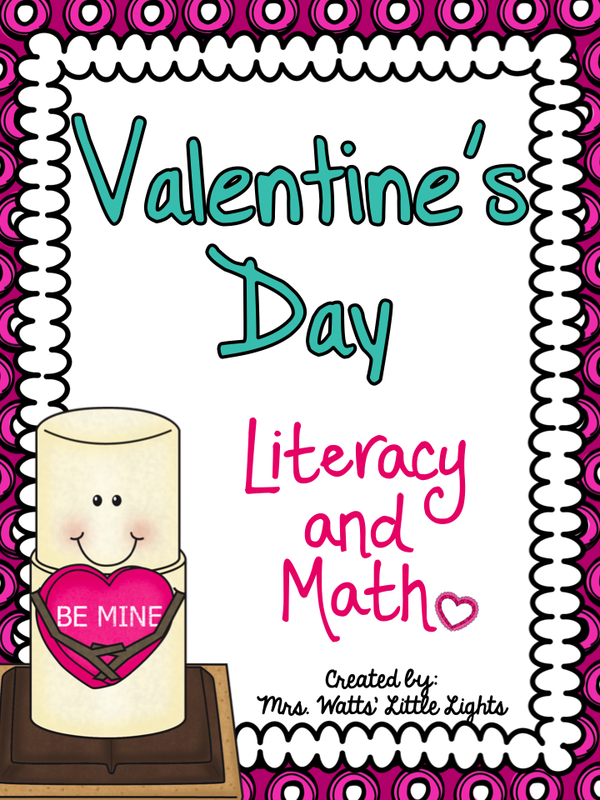 My new Valentine's Day Literacy and Math Pack is full (81 pages!!) 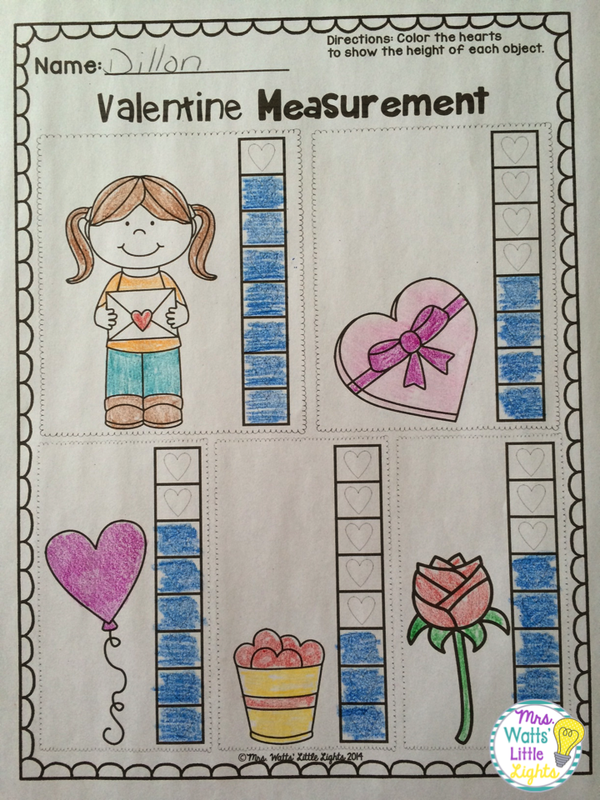 of fun activities that your students will LOVE using during the month of February! Check out some of the activities that are included in this huge pack!! 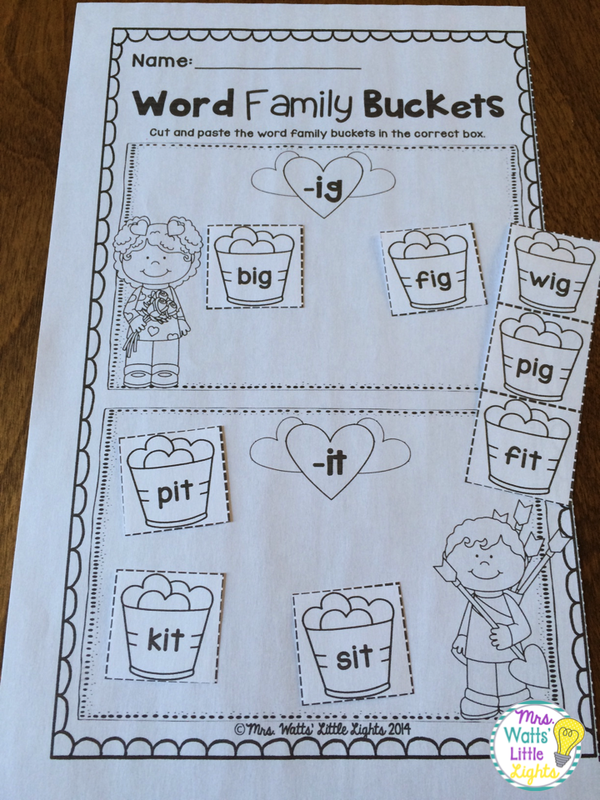 Cut and paste the word family buckets in the correct box. 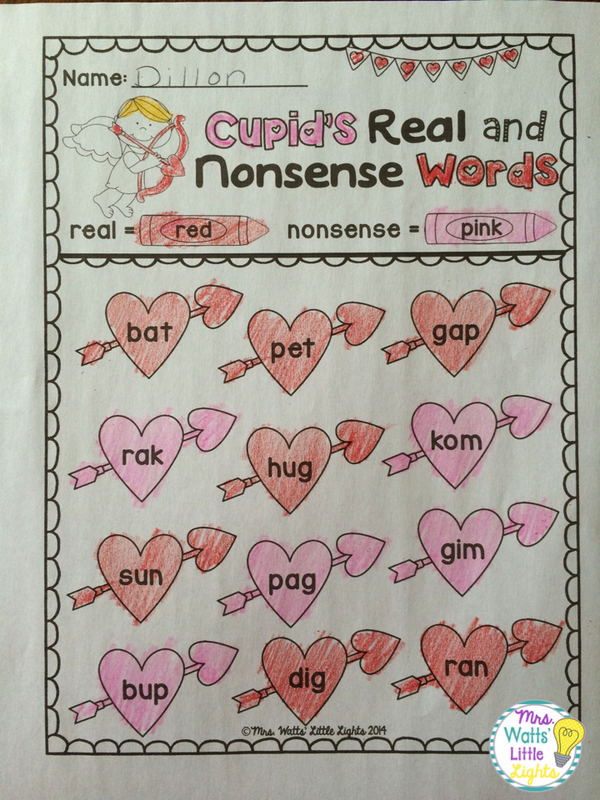 Colour the real words red and the nonsense words pink. 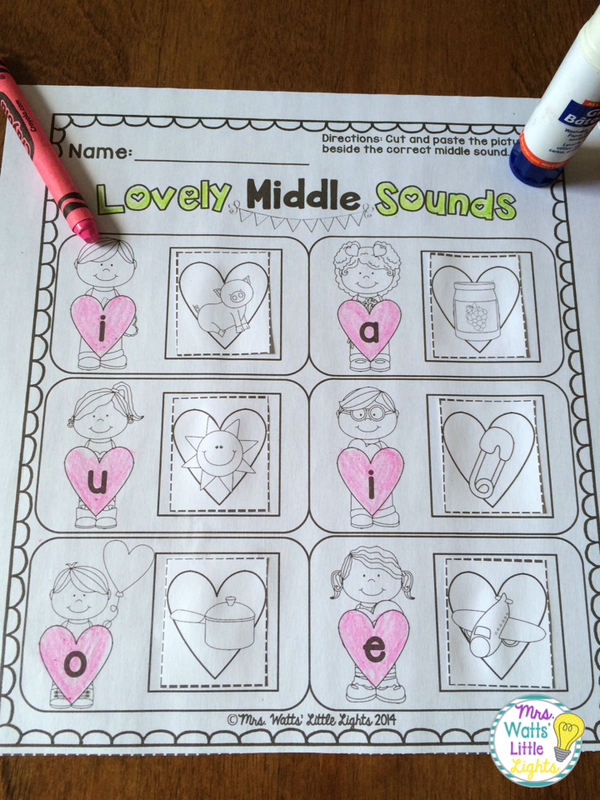 Cut and paste the pictures beside the correct middle sound. Colour the hearts to show the height of each object. Cut and paste the numbers in the correct box. AND now for my exclusive blog FREEBIE!! 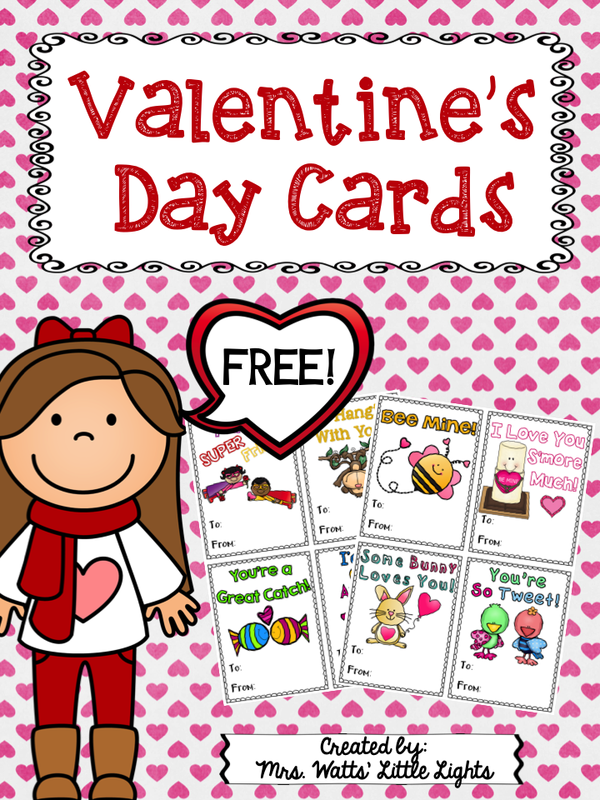 I'm spreading the LOVE with FREE Valentine's Day Cards! 16 cards included (8 in colour and 8 in black and white)! These Valentine's Day Cards would be perfect for your students to hand out to their friends on Valentine's Day! 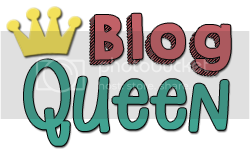 Follow my blog for more exclusive blog freebies! I hope you have a fantastic February and a HAPPY VALENTINE'S DAY!